Today marks the day that I was going to reveal a secret that I have been keeping from you for a month. The only problem is that now my secret is no longer valid. My secret fell through and, truth be told, I’m a little bummed. Worst things have happened, it’s not the end of the world, it’s a superficial and silly thing to be bummed about but we all have our moments, don’t we? My secret is (was) that I had been picked, last month, by my good friends at The Daily Meal, to go to Jamaica for a writing assignment. I was to leave in 6 days. I was going to be flown there, placed in the ‘best place to stay’, to eat at the ‘best places to eat’, and play at all the ‘best places to play’ for 5 days and then was to come home and write about it. To be perfectly honest, I could have gotten a call saying that they were sending me to Wal-Mart and I would have been just as excited. The Jamaica part was an outstanding bonus, don’t get me wrong, but it was mainly the ‘we’re sending you somewhere…alone’ part that really did it for me. No, scratch that. I don’t even need to be sent somewhere alone to be happy. I will happily sit in my own home, alone for 2 hours. That would be a vacation to me. beginning because some part of me knew it would never happen. All this month I have been listening to a lot of reggae…Bob Marley, of course, and had pulled a lot of writing inspiration from his lyrics. Since I have been to Jamaica once before, on my honeymoon, I was going to title my first Jamaica post, something along the lines of ‘Redemption Song’ because my husband and I did not have a good experience then and I was hoping that Jamaica would redeem itself this time. I have notes, upon notes written about all the things I wanted to make sure I did while I was there, all the things I wanted to buy and bring home to my family. I was getting excited to eat the food again, (because the food was our favorite part last time), specifically the most amazing breakfast we ate during our honeymoon: Akee, Saltfish and Bamee, something that you simply cannot have here. I was excited about a lot of things. But you know what sounds kinda crazy? I was most excited about simply doing something on my own. I’m the mom of two amazing kids, with a hard working husband whose job takes him away, a few times throughout the year, to amazing places, and my job is to stay home with the kids. It’s what I have always wanted, I wouldn’t trade it for anything, but I do a lot of things for my kids…at home. I don’t really get time to do things for just me, whether it be to work or relax, my kids are just always with me. My sweet, adorable, amazing kids. 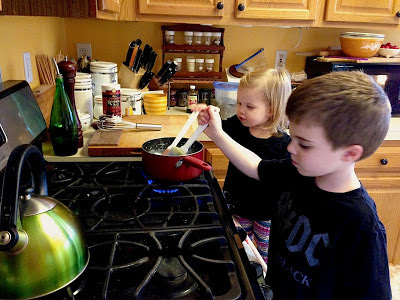 Any stay-at-home mom knows what I’m talking about. So the fact that I was offered a chance to be independent for once made me very happy. The idea was a little scary and a little exhilarating, two feelings that I don’t encounter on a regular basis. I mean, the highlight of my day can sometimes be that I got to pee alone. This would have marked the first time that, once becoming a mother, I had achieved something all on my own, and I finally felt like a grown up. Isn’t that so strange? Of course I’m a grown up, I have two children that I birthed, I’m 31 years old, I work hard…and yet I still feel left in the shadow of the people around me. I look at my friends who, everyday, get dressed up, drop their kids off somewhere and drive to work and I think, now, that’s a grown up. I’m sure they look at what I do and wish they could trade places, we always want what we don’t have, I understand that. And I’m not saying one is harder than the other. But, if they want to go get a cup of coffee somewhere in the middle of the day, they just go. If they need to make a doctor’s appointment, they do it. If they need something from the store, they just go get it. If I have to go to the doctor, I have to either take my kids with me or find someone to watch them before I can even make the appointment. If I need something from the store, there’s no ‘just running out and grabbing something’, it’s a complicated event that can take an hour. I work out of my house so there are days that I don’t see another adult, except for my husband, for days. Being a stay-at-home mom, working or not, even though you’re never alone, can be a very lonely job. So, just the idea that I was going to be doing something on my own for once made me feel very grown up indeed. One of the biggest (and also the silliest) things that affected me about this trip not working out was the fact that I went out and bought new clothes for it. I didn’t need new clothes. I have a ton of clothes. My closet cannot hold the clothes that I already own. But somehow I convinced myself that I needed Jamaica clothes. So all last week, my kids and I went shopping for new things. I got some amazing dresses that I paired with new accessories and even took pictures of me wearing them so I could look at the outfit and would know what to pack and wear while I was there. It had been my project all week. I haven’t been shopping for myself in a very long time, because I’m so conservative about our money. And it was a lot of fun to have an ‘excuse’ to do it. But now all those new dresses are just taking up more room in my overcrowded closet, mocking me. The outfit pictures are taking up memory on my phone, mocking me. And all I can think about now is how silly it was for me to do it. I could have bought more food for my family with that money, I could have been much more practical with that money, and instead I bought a bunch of dresses that now don’t have a purpose. That makes me feel silly. Yesterday I allowed myself to Mourn this loss. I allowed myself a couple of Misty tears, however silly that may be. I deserved to feel bummed about it, to acknowledge its presence and be a little sad about losing it. But today, I’m flipping it around. So now I’m not going to Jamaica? That’s OK! I’ve been to Jamaica. So I’m not getting on an airplane and flying somewhere by myself and staying in a fancy hotel next week? That’s OK! I get to spend more time with my family. So I don’t get to wear all these new dresses in a fabulous, fancy resort? That’s OK! I’ll make up excuses to wear them here. I’ll roast my chicken tonight in one. I’ll wear another one to a meeting I have tomorrow morning. I’ll sleep in one. Who cares? So I won’t be returning home with blonder hair and darker skin? That’s OK! I have a yard. This is the way it was supposed to happen. I’m just not supposed to go anywhere next week and I’m OK with that now. Am I lying? OF COURSE. But typing it out and repeating it over and over again will eventually make it true. And there’s always Bob and his lyrics. Yes, there’s always Bob. How can you ever give your more to receive your less? On a Misty Morning, I want you to straighten out my tomorrow. No new recipe this time, folks. I was originally going to request that I shadow someone in Jamaica while they made Jerk Chicken and then make it at home, adapt it and post it for you all. But instead I will link you to a recipe that seems to be fairly authentic. I’ll be back with something new soon, I promise. I just have a lot of unpacking to do first. *Jamaican Jerk Chicken, recipe courtesy of The Thirsty Traveler. 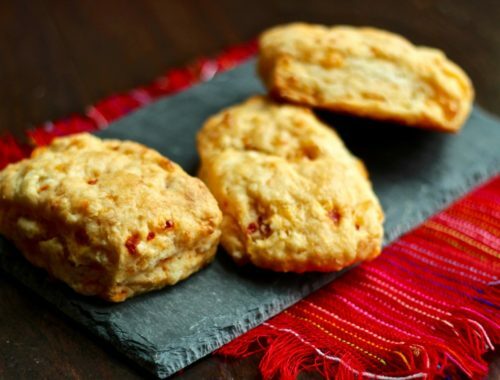 Pimento Cheese Biscuits for Easter. And a little Heart Magic. Aw, thank you! Everything happens for a reason, I suppose!